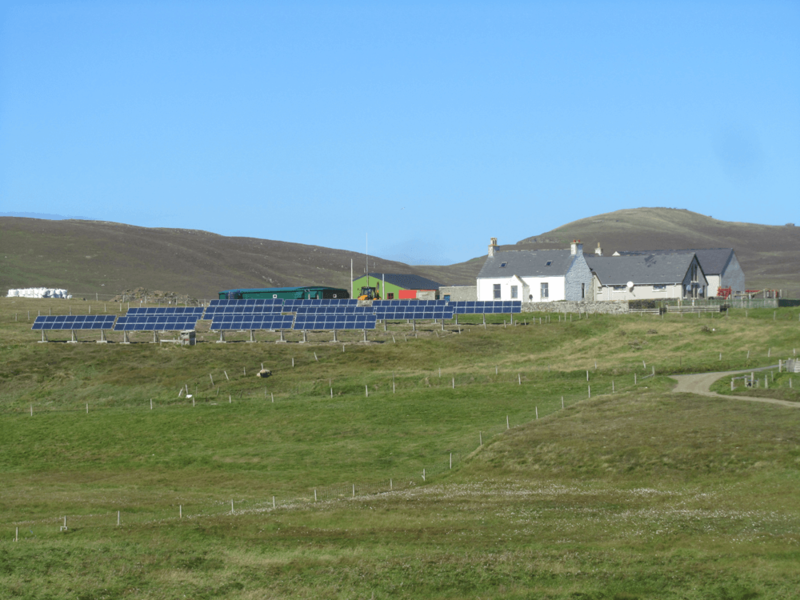 22 November 2018: The remote Scottish island of Fair Isle, which has had to make do with no power at night, is now connected 24/7, thanks to lead battery-backed energy storage systems supplied by the UK firm Wind & Sun. Fair Isle is not connected to the UK grid and requires a combination of diesel and wind power for its electricity. The new power system went live on October 12. Energy storage is provided by the Rolls brand made by Canadian firm Surrette Battery. Wind & Sun managing director Steve Wade told BESB: “We’ve had long experience with these batteries — they work well, have a good track record, and for remote systems are good because of their resilience. “We didn’t want a system that had to be reliant on a battery management system because we felt that would be adding a level of complexity, which would take away the ability of the local people from the island to be able to fix it if something went wrong. The total price of the renewable energy scheme, which includes three 60kW wind turbines and a 50kW solar array well as the batteries, was £3.5 million ($4.5 million). The new energy system has been led by the local utility, the Fair Isle Electricity Company, which secured funding from a range of bodies including the Scottish Government, Highlands and Enterprise and Scottish Water. Other funding sources included Shetland Islands Council and the National Trust for Scotland, which owns Fair Isle. Fair Isle, about halfway between the north Scottish islands of Shetland and Orkney, is the most remote inhabited island in the UK. Until now the island’s 55 inhabitants have had to do without electricity between 11.30pm and 7.30am. Now, seven banks of Rolls batteries, with a total capacity of 588kWh, will store the electricity generated during the day to power the island’s homes as well as a post office, shop, inn, school, two churches, a fire station, water facility, airstrip, harbour, lighthouse and bird observatory. Two back-up diesel generators are only predicted to be in use for about 10% of the time. Separately, on the islands of Canna and Sanday, in the Hebrides, which are connected to one another by a bridge, three banks of 225kWh lead batteries will store electricity generated by 6 kW wind turbines and 128 ground-mounted solar panels and will provide power for 15 homes, a café and shop, an inn, farm buildings, primary school, two churches and the harbour. Wind & Sun is based in the English county of Herefordshire.